It's certainly does not feel like Fall. This deliciousness makes me think that the crisp Fall air is just around the corner. 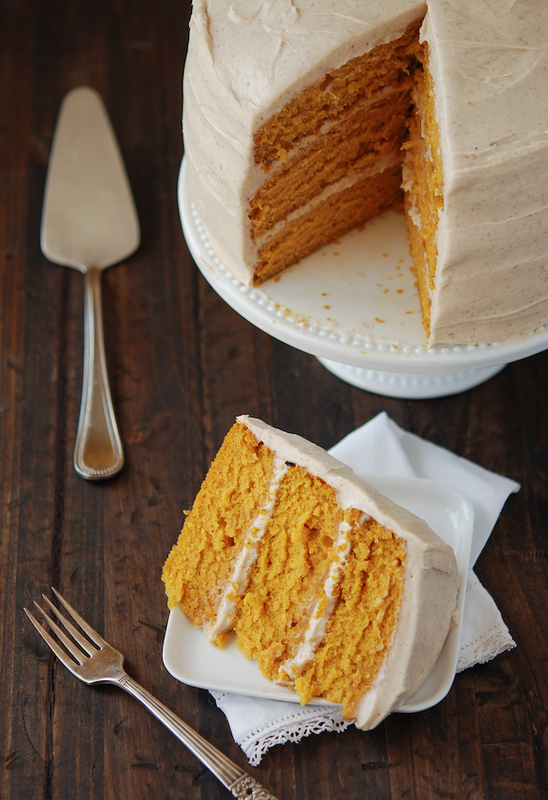 Plus, it's called Pumpkin Dream Cake. Yes, I am dreaming about Fall and this cake to magically appear. I'm currently living out of a suitcase and my KitchenAid mixer didn't fit. You can make it appear, if you're not constantly away from a stove, with THIS RECIPE.